I love a good sweetie, or two or three. So when we were passing by Sallie Moonbeam’s traditional sweet shop in Glossop today I couldn’t resist. I didn’t want to stick to the same things I always go for (liquorice satins and herbal tablets – mmm, both yummy), because then I’ll never know what I might be missing! In fact, one of these was a safe bet, as I’ve had them occasionally before. 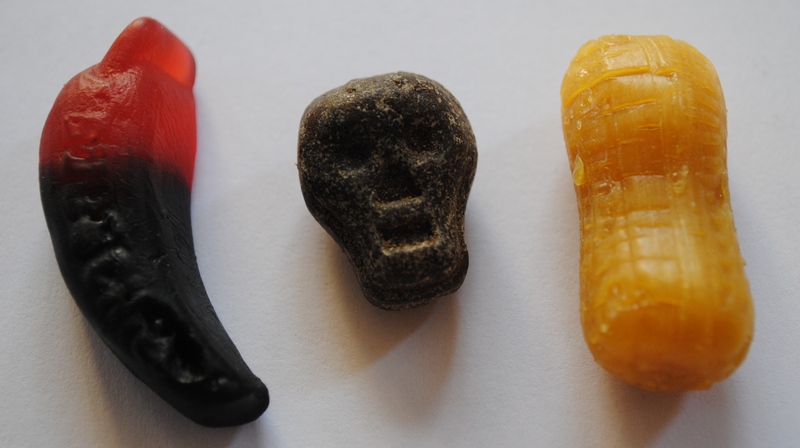 One of them was edible, if a little strange – chewy chilli cherry liquorice anyone? If you want one, just let me know, there’s a half a bag left over! Posted on 17/09/2011, in Food and tagged Glossop, liquorice, sweets. Bookmark the permalink. Leave a comment.